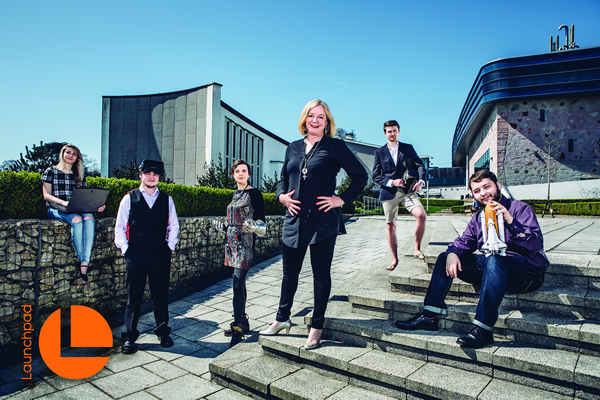 Launchpad is a proven, innovative post-graduate Incubation and Acceleration programme, which will create a new generation of Cornwall-based companies in high-value Smart Specialisation markets. Launchpad is designed to foster local graduate skills and talent in order to create and retain a new generation of high-value added businesses and durable jobs in the knowledge intensive Digital Games and Interactive Technology markets. The methodology enables participants to learn from seasoned and successful Industry Partners, equipping them with the technical and entrepreneurial skills to manage the operations of a new company. By their nature companies operating in the digital economy will have a global reach. Launchpad businesses are also agile and able to ‘pivot’ to market demand. Again, at a time of significant economic uncertainty, this ability to respond at pace to new market opportunities will be particularly important in supporting Cornwall’s economic future. Therefore, the businesses created through Launchpad will not be sheltered from competitive market forces or confined to operating within a restricted market or geographical boundary. The Launchpad methodology reverses the traditional model of business incubation as it creates new companies in direct response to an identified industry demand. Instead of starting with an entrepreneur and their idea, Launchpad begins with the customer and their business challenge. Graduates with complementary skills are then selected and tasked with solving the industry requirement and a high-growth start-up is developed around the solution. It is also based on a sustainable model whereby a percentage share of each new company created is retained by the project. The return on investment will be re-circulated into an Evergreen Fund, which will be used to continue the programme beyond the externally funded project period. Within the three-year project period Launchpad will create 128 new jobs and 32 companies in knowledge-intensive sectors. However, Launchpad has the potential to create a continuous flow of jobs and businesses in Cornwall. For more information visit the Launchpad website.